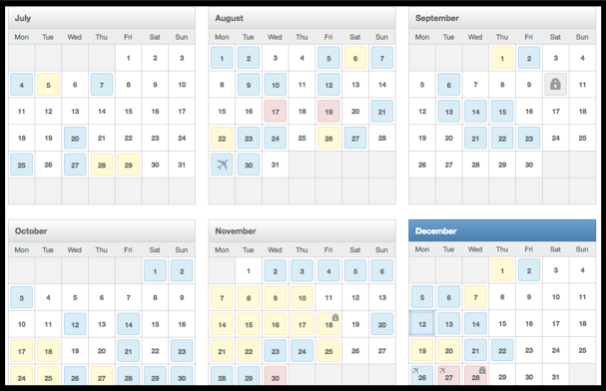 The 'Planner' shows when employees are on holiday, off sick or any other events. Each square will be colour coded using a heat map. As in the screenshot below the more transactions that fall on that day the hotter the square.